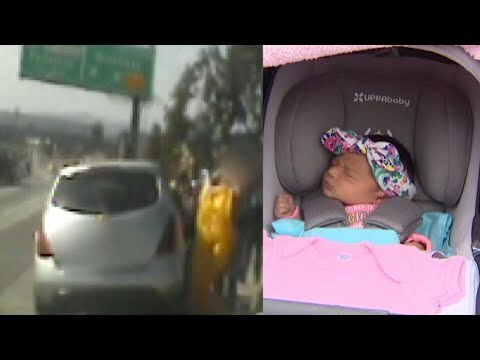 A grateful mother is thanking California Highway Patrol officers who delivered her baby on the side of a highway in Los Angeles. Lilianna Alamillo says she realized the baby wasn’t going to wait until she could get to the hospital. The baby’s father pulled the car over and called 911. Her prayers were answered when CHP officers Kyle Beidermann and Richard Yerba showed up. InsideEdition.com’s Mara Montalbano (https://twitter.com/MaraMontalbano) has more.